Traveling can be stressful if you haven’t taken the time to plan ahead of time. These 7 Suitcase Packing Tips & Tricks for Vacation will help ensure that you have the most enjoyable trip possible. I think any seasoned traveler might share, that less is more. When you pack you want to pack comfortably, have items you will need, and not over pack, so your suitcase weighs twice as much. You have to remember you are the one that will be lugging it around as you travel. Who wants unnecessary weight or the expense of checking your luggage?! Also by packing lighter, you don’t have to worry about airlines losing your luggage if you only bring luggage for carry-ons and that fit in the overhead compartments! Carryon sizes vary based on destination and airline. After years of having a carryon bag that was borderline too big, I switched to this expandable, wheeled carryon and have had zero problems. Don’t forget those little passengers can bring their own carryons too. Depending on their age, they can bring their school backpacks or their own roller suitcases and be responsible for their own luggage without paying any extra fees. Carrying on your luggage is one of the best tips for flying with kids. If you are traveling by car, your whole trunk won’t be so packed you can’t even see out of the rear view mirror! And especially during the holidays when you’re likely bringing along gifts with you as a you travel. These suitcase packing tips & tricks lean to the minimalist side to help you be prepared for your vacation with exactly what you need and nothing more. Minimalist packing is a great way to go when you travel, and I will share how to go this route. Don’t wait until the night before or morning of to pack. Procrastinating is the surest way to pack items you don’t truly need, you rush and just throw odds and ends in! Use your mind and really focus on items you will need. Pack items that you truly need, instead of debating will I use this item or not. When you are planning a trip, really research your destination. Look at the weather forecast for the time you will be there, to get an idea of clothing. If you know you will be at the beach most days, maybe pack two swimsuits and some sunglasses, or a big floppy hat. Toss in some bug repellent, and sunscreen as well. Maybe you will only dine out one time, so pack one nice outfit, limit what you are packing. When you pack clothes, think less is more. Find items that will work with multiple outfits. Solid colors are great and pair them with different shorts or jeans to make it work for different outfits, so you don’t have to pack as much. To dress something up, pair with jewelry or a scarf. Items that take up minimal space. I know this one can be a sore subject for ladies that really love their shoes, but try and keep the number of shoes you’re traveling with to a minimum. Traveling is not the time to break in a new pair of cute heels. Go with shoes that you know are comfortable and/or fit the type of activities you’ll likely do on your vacation. For years when I’d pack, I’d throw my clothes in the suitcase and not try to really maximize the space. This meant I wasn’t packing things inside my shoes or utilizing all of the nooks and crannies of my suitcase. By packing socks inside your pair of shoes (or more depending on the type of shoes you’re packing – boots can hold a lot) you could keep all of your clothes in place and not forego any of the items you need. Packing cubes are another great way to keep everything organized, especially if you’re packing for more than one in your suitcase. When packing your clothes, opt for synthetic materials, that is not going to cause a ton of wrinkles from being in your suitcase or backpack. 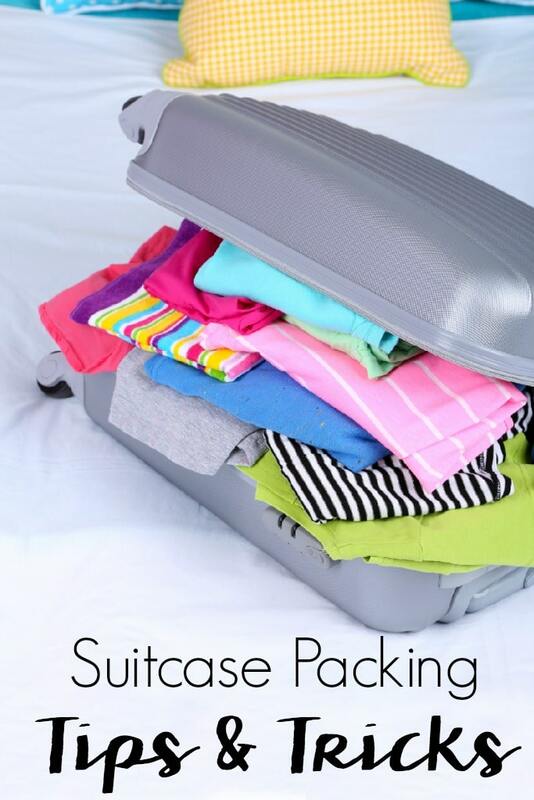 Pack clothes that are durable and will take up less space. Try to limit bulky sweaters and other items that take up a lot of room. You can minimize what you’re putting in your suitcase by wearing one of your layers while traveling since the temperatures on planes can be inconsistent and can also work as a pillow or blanket. And you can also ensure, that whatever layers you do bring can work for multiple outfits. If you are traveling limit thetech gadgets you bring. 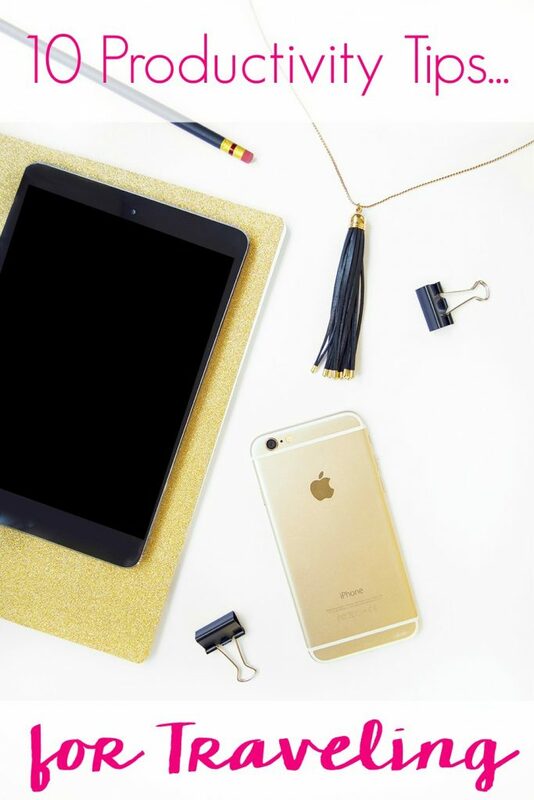 Will your iPad do all the things you need it to or is the laptop the route to go? Is hauling around your DSLR really worth your achy shoulders or could your new iPhone do the trick? Packing light gives you flexibility with space and mobility while traveling. These are the most basic suitcase packing tips & tricks that will help you minimize how much luggage you bring along. For more help traveling, check out these other travel posts. « Feedlot to Fork Farm Tour – What’s in your Beef?